Well it would be probably incorrect to speak about the dominance created by Whatsapp all over social media, while stating an update to an already popular platform : Hangouts. WhatsApp is a popular platform everybody knows it, But there are some features which stand out quite a bit in Hangouts. 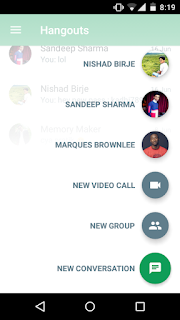 Well hangouts is Google's app/platform(Google+) where you can perform things like texting, Calls(Hangouts Users), Video Calls & even make a call internationally at very low price. So that's cool right? But the part from where Android Lollipop emerged, everything was rather about that sort of turing appeal called "Material Design". Hangouts did receive a lollipop makeover, but it didn't quite fit in the lists of what Users where expecting. So Google's been on a Mission to simplify the user experience on Hangouts with this new update, which has already started rolling out from this week. Let's find out more about this update, which is formerly known as " 4.0" update across the internet. 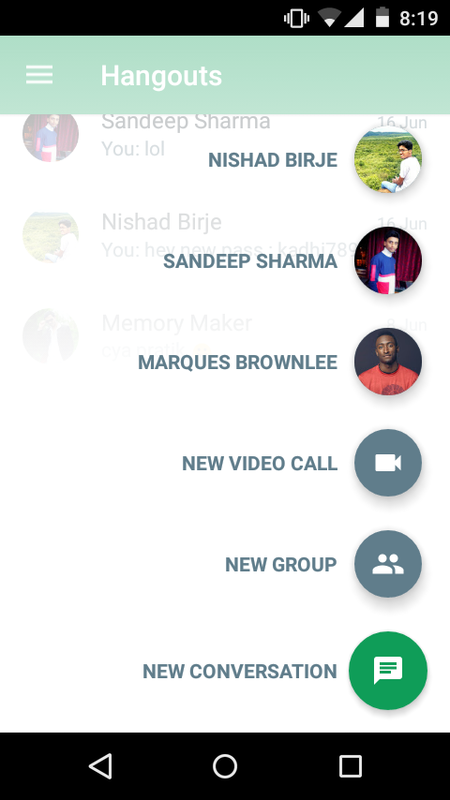 So Google states that Hangouts 4.0 for Android has a fresh new look, improved speed and quite of new features. There are even newer easier ways to compose, attach and use your watch(Android Wear) make hangouts. That plus button layout is making it's way everywhere, gosh it's so convenient to have it here too. 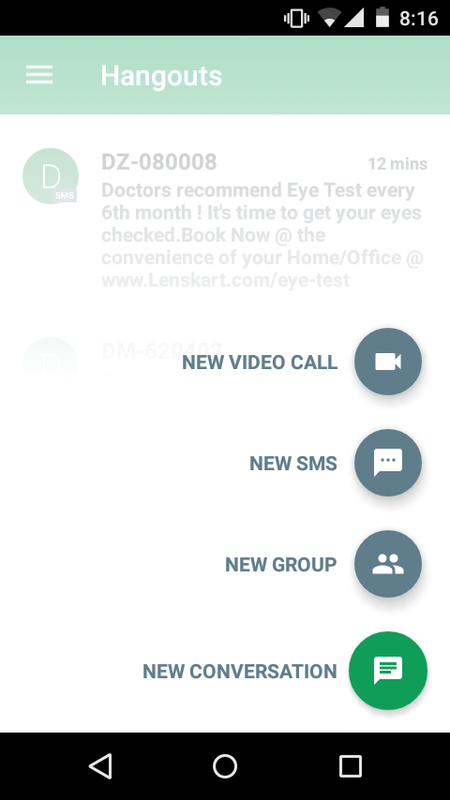 Simply push that + icon to access frequently contacted users & there's even a direct option to make a video call, new conversion & a new group. Previously you needed to find the contact first from that long list first and then do what you went there for! It was cumbersome, many are going to love this new updated Interface. Whatsapp if you're reading this, take notes! Hangouts is now updated with material design, it has an overall new look and feel, transitions between tasks are more fluid & consistent. Hangouts is now simpler. Addition of a new Compose button makes it easier to start a new conversation. It is now easier to find your contact lists, which helps you find the right person quickly. Attachments have been revamped, so is sharing with the addition of emoji support, GIFs, location & finally : Selection of multiple photos at once ! Hangouts is faster. Whether you’re sending a quick message or video chatting with family, you don’t want hold-ups. Google has been obsessively fixing bugs and speeding up message delivery to make Hangouts faster and more reliable. While they also claim it consumes less battery, which is always a welcome change. With the new Hangouts Dialer you can make affordable calls with the addition of an Outbound Caller ID (so your friends won’t get any more calls from the great “Unknown”). You can now reply with your voice to group MMS messages in Hangouts. 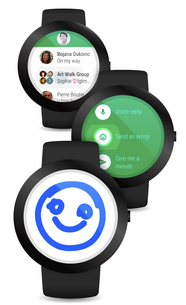 While simply say “Ok Google, send a Hangouts message” from your watch. Custom status messages make their way again in Hangouts 4.0, which simply means setting up your "status". The update has started rolling out to Android Users everywhere & if you're not using this update there's no point in using hangouts app. Fun Fact : iOS users recently got many of the same updates before even it was released for android. I am a big fan of hangouts, thanks for sharing about the update I will try it.